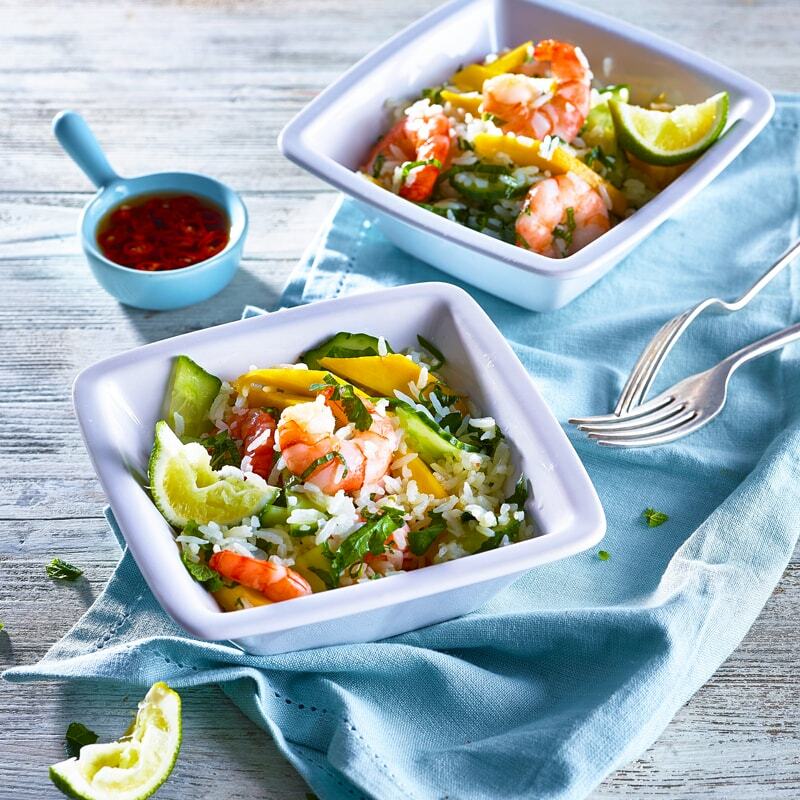 A zesty, refreshing Thai salad with succulent king prawns and juicy mango pieces. Perfect as a starter or a light, summery lunch. Heat the rice in the microwave according to pack instructions. Tip into a large bowl and fork over to separate the rice grains. Cool. Toss the mango, cucumber, mint leaves and prawns into the rice and dress with the fresh lime juice. Serve. Tip: A mixture of herbs such as Thai basil, mint and coriander work well in this recipe. If you have some coconut milk or cream to use up – add a few tablespoons to the rice with the lime juice for a creamy flavour.